I am a freelance reviewer in Sydney, and lover of sharing my experiences in all things food, wine, entertainment and travel related. 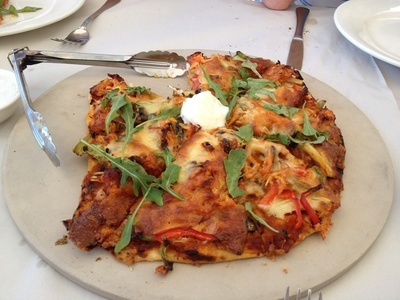 If you are looking for an unforgettable dining experience inclusive of appetising foods, magnificent ocean views in a tropical and serene ambience, and without the matching hefty price tag, then look no further than Déjà vu Restaurant in Airlie Beach. Déjà Vu is a boutique restaurant that offers seaview dining over Airlie Beach and the azure Whitsunday islands. 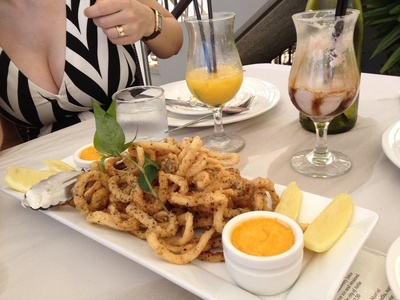 Located at the base of Airlie's most famous hillside accommodation strip, Orchid Drive, the restaurant is only a short walk from the main street of Airlie Beach, and is housed within the Water's Edge Resort. The restaurant is casual enough for a family Sunday lunch yet chic enough to impress out-of-towners, but what really delivers is their fantastic concept of the Sunday Long Lunch, which is local tradition to experience in the Whitsundays, and a firm local favourite. 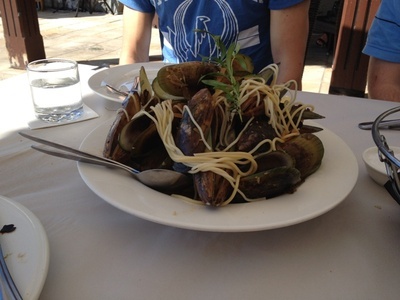 Airlie Beach doesn't typically come across as a foodie destination, and throughout my time there I prepared myself for mediocre food. However, this is one of the standout restaurants in the region offering a dining experience to rival any major city in Australia. The Long Sunday Lunch begins in a gorgeous outdoor setting, overlooking the Whitsunday Islands. The outdoor area is designed beautifully with tables arranged around a luscious plunge pool – giving it a very Los Angeles style feel, minus the pretentiousness. The appropriately Long Lunch is complemented by seven courses of mouthwatering dishes designed to be shared by the table, delivered in intervals over a five hour period, with live entertainment adding to the ambience. Guests are also given the opportunity to relax, take in the alfresco dining atmosphere, soak up the sunshine and swim in the pool throughout their lunch, in between courses. The long lunch, which at terrific value is costed at $42 per person exclusive of drinks, consists of a range of dishes which change throughout to the year to match the best seasonal produce. 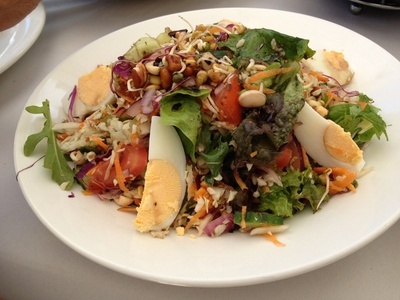 There is no menu, but visitors can make special requests for any dietary requirements. 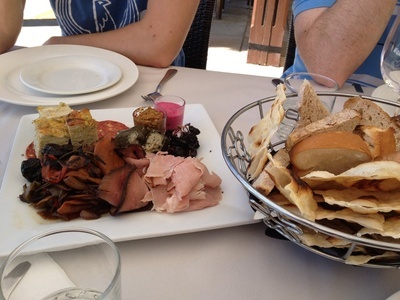 On our visit, we were served with a divine antipasto platter as the start dish, which served fresh cold cuts, dips, dolmades, frittata and other delectable morsels. 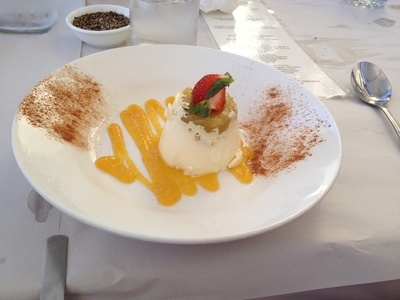 Other dishes to follow included a delicious lemon pepper calamari, a bowl of Thai spiced mussels with pasta, a fresh salad, Tandoori chicken pizza and Mexican wraps, finished off with a delicious pear panna cotta dessert. Portions are very generous and all dishes are tasty. Personalised service and attention reign supreme with hands-on owner/manager/chefs Sarah and Patrice Duverger, and their friendly staff. The atmosphere is great, with a solo singer and guitarist, playing wonderful music by the poolside, making the courtyard dining experience cruisy, classy and unique. This adds to the ambience, which is relaxed, elegant but still Airlie. The verdict: Déjà vu Restaurant offers all the features of a fine dining establishment, with a more casual approach and without the expensive price tag. 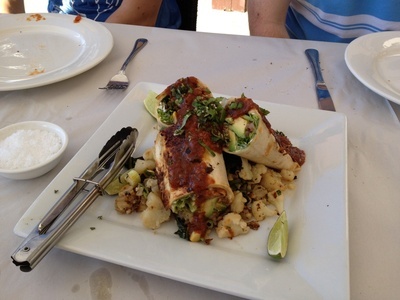 The venue is perfect lunch destination and is highly recommended for both locals and tourists alike. Arrive armed with a ferocious appetite and be prepared to claim the title of Sir or Madame Lunchalot for the afternoon. Reservations and walk-ins are both welcome, but with the popularity of this restaurant, having a booking is the safer option. Why? Long Lunch on a Short Budget!